The Atlantic Gaming Desk is a simple yet functional desk that comes with a very affordable price tag. With the many desk options out there, who will this desk be best suited for? How durable is it and how long will it last? 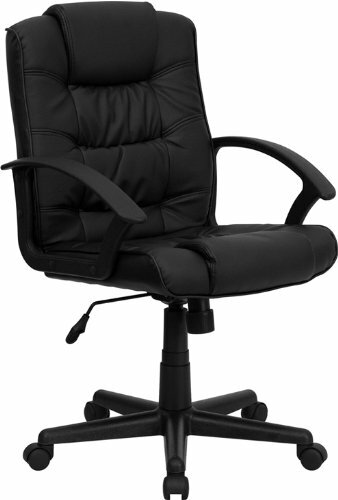 I enjoy reviewing office furniture and providing my opinion. Should you actually purchase this product or is it really a waste of money? I will research this desk to the best of my ability and write down my findings in this article. Anyway, let’s get right into it! This desk is colored in charcoal, while the material is carbon fiber (laminated desk top). It also has enough space for a laptop, TV/monitor, keyboard and other supplies. There is a monitor stand built-in, so there’s no need for an additional one. The Atlantic Gaming Desk has a tablet and phone charging station as well, which is one of the key features in my opinion. The manufacturers also claim that you don’t need to be a gamer to enjoy all the perks that this desk offers, due to it containing different features that will fit everybody’s needs. It’s designed to be easy to clean and simple to assemble, which I’m sure we can all appreciate. I really like all the features that this desk offers. With a cup holder and a hook to hold headphones, along with the controller holders, this makes this desk stand out from the crowd. The charcoal colored desktop was also something that caught my eye, that is definitely something I haven’t seen before. But most of all, the built-in monitor stand is what will be a huge benefit to gamers. Other Features include a Wire storage drawer for pens and paper as well as a charging station and power strip holder. If you’re like me and you like to have a wider more spacious desk, this is not for you. The top rack does fit a 27″ monitor, but there’s not much elbow room. This desk is on Amazon.com, currently available but the price varies between $100 and $120. You will get a 30 day return policy, so you can return it for a repair if any defects are on the product, or send it back for a full refund. Save 10% From Amazon.com Here! Of course, this is for avid gamers who want something sturdy enough to hold their equipment. And because it contains a lot of features, will make it worthwhile for all types of machine players. All consoles and PC types are welcome on this desk, as a result of this desk being strong and sturdy, it will also be good for a teenager who likes to game. I also think it will work great for home office owners who want the extra features that this desk provides. It has a tablet and phone charger, something every business should be using, yet not all desks come with it. It’s just not a perfect choice for small business owners. When clients and coworkers come in to talk, it doesn’t look professional enough. A more professional desk is required for a small business, especially when potential partners come in for interviews. For a desk of this price, you would be silly to pass it up, especially if you’re a gamer. After this many purchases you would expect a lot of negative reviews, this is clearly not the case, making this desk almost flawless. There are a small number of people complaining about the monitor wobbling as you type, however I’m guessing that’s a defect issue and not the actual desk itself. Because I don’t see anyone else complaining about it. Due to this desk being better than I expected and having not a lot of bad feedback, I have no problems in recommending it. So yes, this desk is highly recommended! If you’re a professional business owner, this desk is not for you, and of course if you want something with more desktop space I can suggest you check out the UpLift 900 Standup Desk. This is truly a one-of-a-kind desk and I wouldn’t hesitate in purchasing one for myself. It doesn’t have a lot of desktop space, but with the drink holder and headset hook, this can be valuable for any avid desk user. Not only that, but I find all the other features useful as well; monitor stand, controller hooks, game storage rack, wire management plates, power-strip holder, and monitor stand. There’s a lot of people who can be clumsy when it comes to consuming beverages, and a drink holder might be all you need to avoid spilling your drink and ruining your laptop again. Either way, I think this desk works amazing and for the price you pay, there should be no questions for whether you should get it or not. Don’t get me wrong, I don’t always praise products as much as this, hence why I’m surprised it works so well. 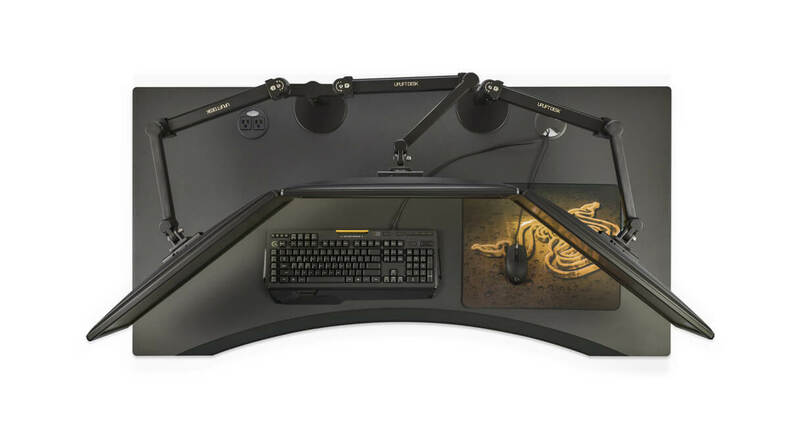 For the many reasons outlined above, and because I think this works great for many types of desk users, the Atlantic Gaming Desk is highly recommended!